A 3D brawler with light RPG elements and precision-demanding combat. 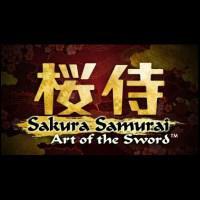 You play as a samurai in feudal Japan, rendered with a distinctive cartoony style. The story is pretty light - you are literally tasked with rescuing the princess - and most of your time is spent fighting through various enemy arenas. To succeed, you do not strike first - you wait, sword sheathed, until your foe unleashes their attack which you swiftly dodge and counter. The core here is great - it makes you feel like a noble badass. It can get repetetive as you fight many of the same type of enemy and the light RPG systems require a lot of grinding to aquire currency to spend on upgrades. The real problem, however, is that since it doesn’t take long to learn to read the enemy motions, the game tries to keep things interesting and overreaches - most obnoxiously, enemies quickly gain the ability to suddenly freeze for a brief period during their telegraphs, which throws off your timing. It’s difficult to predict and it completely goes against the spirit of reading your opponent’s motions to defeat them, since no human could just stop and resume moving with no regard for momentum. It’s enough to turn this into a Bad Good Game, and was enough for me to put it down. I Stopped Playing When: The enemies started freezing during their telegraphs. It broke the patient observation-based self-defense gameplay I’d been enjoying to that point.